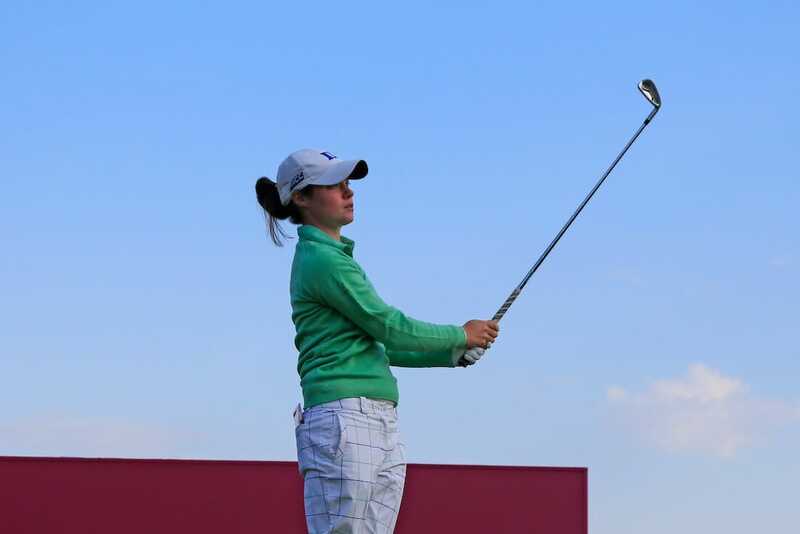 Leona Maguire might be close to claim the leading amateur medal at the Ricoh Women’s British Open but the Cavan woman is very much in the hunt for a top ten finish at Kingsbarns Golf Links. The 22-year-old Duke University senior enjoyed a bogey free round in wet and windy conditions carding a third round bogey free 70 after..
That round of 70 sees the amateur world number 1 world’s sit on -6 under after her third consecutive round under par and poised push forward and seal the low amateur title in todays final round. Maguire is three shots clear of her nearest challenger for the best amateur finish with England’s Sophie Lamb losing ground after her round of 73. At the top of the leaderboard it was a day for the Koreans to shine with In-Kyung Kim storming into a six shot lead on -17 with a blemish free round of 66. Kim did not enjoy the best round of the day however, that honour went to her compatriot Inbee Park who signed for a round of 64 with eight birdies on the testing course. Park has probably left it too late to mount a major challenge on Kim however who holds a seven stroke lead over her, with England’s Georgia Hall and Moriya Jutanugarn of Thailand both sitting in joint second on -11.